Recently my home church added a new pastor as the leader of Small Groups/Spiritual Formation. I am very concerned. Soon after taking this position he introduced a book by James Bryan Smith titled The Good and Beautiful God. This book is to be studied at each of our church’s small groups in addition to a 9 week Sunday evening class. My first introduction to this book was in our adult Sunday school class when our teacher referred to lectio divina found in chapter 5. Immediately red flags went up in my mind. I had never heard of lectio divina nor contemplative spirituality before but I new something was very wrong. Later, when I got a hold of the book, I saw that on the front cover is a quote and endorsement by Dallas Willard. I have searched your website but have not found a review of this book. Could you please review and report on this book? I have yet to discuss my concerns with my senior pastor but when I do I pray it will be with discernment and double honor. I would just like a little more knowledge on this book and spiritual formation before I share my concerns and feats for my church. Any information will be a great help. You are doing a wonderful work. 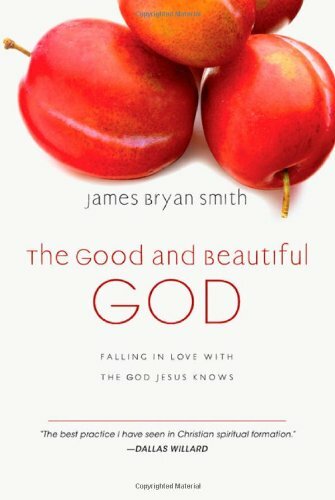 James Bryan Smith (M.Div., Yale University Divinity School, D.Min., Fuller Seminary) is a theology professor at Friends University in Wichita, KS and a writer and speaker in the area of Christian spiritual formation. He also serves as the director of the Christian Spiritual Formation Institute at Friends University. A founding member of Richard J. Foster’s spiritual renewal ministry, Renovaré, Smith is an ordained United Methodist Church minister and has served in various capacities in local churches. Smith is also the author of A Spiritual Formation Workbook, Devotional Classics (with Richard Foster), Embracing the Love of God, Rich Mullins: An Arrow Pointing to Heaven and Room of Marvels. Of course, just the fact that Smith helped to found Renovare is evidence enough that he is a major contemplative advocate. Renovare is one of the longest standing vehicles through which contemplative spirituality (i.e., Spiritual Formation) has entered the evangelical church. And traditionally, as a whole, the Friends denomination/movement embraces contemplative mysticism as well. But let’s take a look at this particular book, The Good and Beautiful God. This is actually the first in a series by Smith called The Apprentice Series. There is also The Good and Beautiful Life and The Good and Beautiful Community. Willard’s “curriculum for Christlikeness” is based on the teachings of numerous mystics, as we have documented in previous Lighthouse Trails articles. 5. Endnotes in the book reveal who Smith turns to for “wisdom” and “spiritual understanding.”. Of course, there is Willard, Foster, Nouwen, and Manning. As Smith’s introduction describes, these are his mentors and heroes. In addition, there are names like the mystic Catholic nun, Kathleen Norris, emergent church favorites Karl Barth and H. Richard Niebuhr, contemplative teacher Jan Johnson and contemplative/emerging musician David Crowder. Then there is the Benedictine Handbook and The Upper Room Dictionary of Christian Spiritual Formation (Upper Room is an organization whose primary purpose is to promote Spiritual Formation. They are the creators of the Walk to Emmaus). 6. One of the contemplative practices that Smith teaches on and references throughout his book is lectio divina. He gives instruction on page 108 on how to use lectio divina to find your special word or phrase to repeat in contemplative meditation. Our article, “LECTIO DIVINA-What it is, What it is not, and Should Christians Practice it?,” is a worthwhile read to understand lectio divina. With regard to the other two books in the Good and Beautiful series by Smith, with a quick perusal in The Good and Beautiful Life, we can see Smith includes Thomas Merton and Rob Bell in his line of spiritual references, talks frequently about being in the silence, and again, recommends repeating a special word or phrase during contemplative meditation. There is also a reference to contemplative and Catholic sympathizer J.P. Moreland. The Good and Beautiful Community, the third in the series, continues in the same vein and includes references for Shane Claiborne, N.T. Wright, Tony Campolo, Walter Brueggemann, and Eugene Peterson (all part of the emerging church). If James Bryan Smith’s books are used in a group setting, they are going to introduce participants to contemplative spirituality and to the most influential names (Foster, Willard, Nouwen, and Manning) who have carried the torch from the halls of the Catholic monasteries of Thomas Merton, Thomas Keating, and Basil Pennington to the pews of the evangelical church. Smith’s message lines up with the community/social justice/emergent “theology” that says spiritual transformation comes through practicing the “spiritual disciplines,” especially the silence, and the kingdom of God is built when unity at all costs is upheld (removing the barriers of doctrine).